Art and Music at One Billion Rising – and an Open House invitation! One Billion Rising sees twenty-four hours of music on a stunning stage (designed by Victor1st Mornington. You can find out which musicians will be playing on the One Billion Rising web-site – which has a special Event Schedule page. Find out if your favourite DJ will be playing! But there’s more than just music. The stage is set in open parkland, landscaped by Winona Wiefel and Aisling Sinclair, utilising plants generously supplied by the Heart Garden Centre. And at the edge of the park, there’s even more. 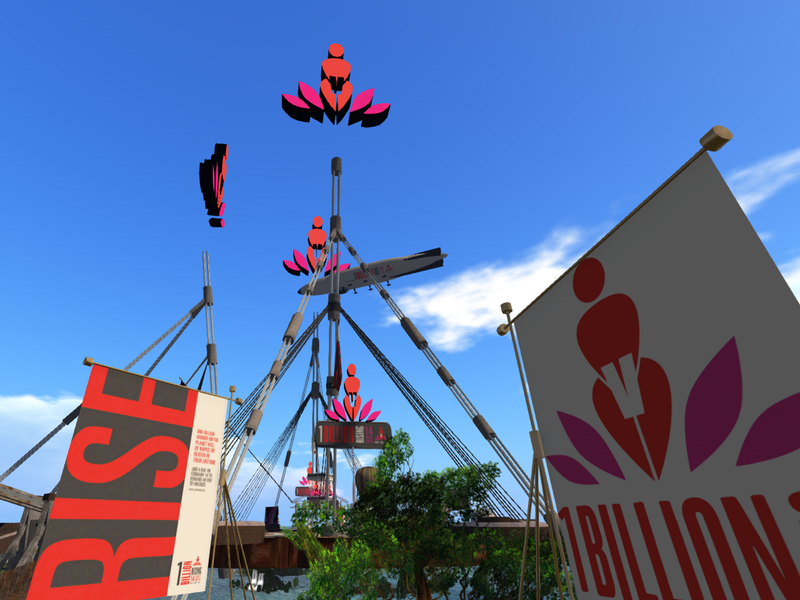 We are thrilled to have 18 of the best SL artists from around the world supporting the One Billion Rising event. 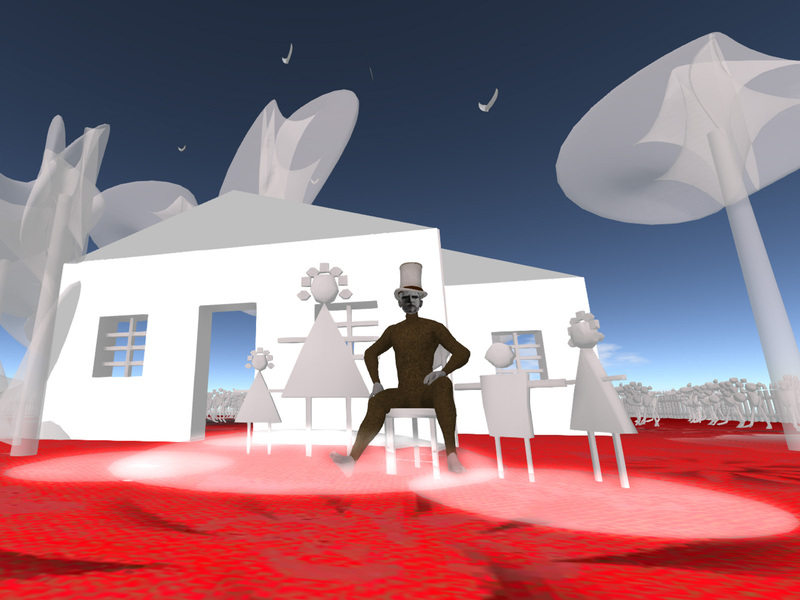 Details of their installations, set around the edge of the four sims, appear on the One Billion Rising in Second Life website, where you can find bios, information and samples of the artists’ creations. And we realised that it might be a little hard to appreciate all this wonderful art when the performers are in full swing, so we are opening the four regions to the public on Wednesday 13th of July, a day ahead of the main One Billion Rising event. There will be an Open House on all four sims from 12 midnight SLT till 12 noon SLT on Wednesday 13th February. You can arrive at any of the four sims – OBR Walk, OBR Strike, OBR Dance, or OBR Rise and then explore at your leisure. After noon on Wednesday, the sims will close to the public as we perform final load testing. The event will be fully open starting at 11pmSLT on Wednesday, February 13. We want to allow people the chance to stagger their arrivals to lessen the strain on the sims. You will thus have time to find your way around the event site and make your way to the stage before the dancing starts at midnight on Thursday, February 14. And don’t forget to collect information from our kiosks and gifts supplied by our sponsors too! Previous Post: Romance and Mardi Gras with Happy Hunting!